Tara’s books are filled with love, compassion and a wisdom that takes some time to understand. Let me be honest. 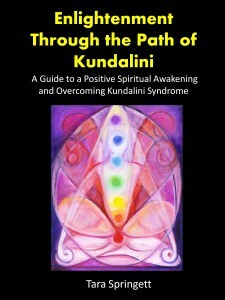 I received this book “Enlightenment through the Path of Kundalini” in March and it’s taken me 3 months to do the review. I wanted to do justice to Tara’s book as best as I can. To “review” Tara’s works would be misnomer. Her work is far to profound filled with wisdom to be reviewed. I hope I can do justice to her work as best as I can. White Tara is the deity for overcoming obstacles and long life. Shelooks white in colour, has two arms and so-called ‘wisdom eyes’ in the soles of her feet, in the palms of her hands and in the centre of her forehead. People pray to her for help with everyday problems and for guidance on their spiritual path. I am the force who is behind all phenomena in the world. I am the love that alleviates all pain and the joy that brings happiness wherever there is suffering. I am the power that holds the universes together and the energy that makes the sun shine and the stars rotate on their pathways through 12 the sky. I am the power that you can trust and I am the help you have always been seeking. I am your true home, your alpha and omega, your goal and destination. It is actually the discovery of our own divinity, which is pure love and wisdom together with numerous supernatural powers. In order to reach this state we need to awaken a certain energy within us called ‘tummo’ in Tibetan Buddhism but more commonly known as kundalini. The word kundalini comes from the Hindu religion and refers to a mysterious power that lies dormant in our abdomen but rises up under favorable conditions to awaken and illuminate all the chakras along our spine and allows us to reach our highest potential of enlightenment. To understand it more, it is like an upward spiraling current, giving us bliss and taking care of us just like a mother takes care of a baby. Your divine essence is your innermost being, your essence. It has two parts: the sea of love and the blissful life force. Here is another gem from page 16 “Your divine essence is your innermost being, your essence. concentrated life force. 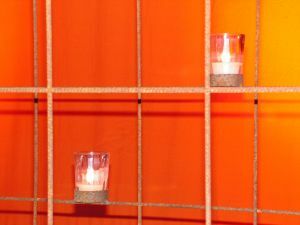 Worth noting is a line Tara writes “spiritual development can only happen through loving relationships with those who are further on the path than we are. Simple appreciation even in the most challenging times and you are set to go! Tara writes “spiritual development can only happen through loving relationships with those who are further on the path than we are. ” Simple appreciation even in the most challanging times and you are set to go!